This week has been a strange one for us as I did two full days in work as part of my KIT days. It is going to be very tough to go back five days a week. This week he has learnt how to stand in his cot and bang on the wall when he wants our attention, not great at 3am! 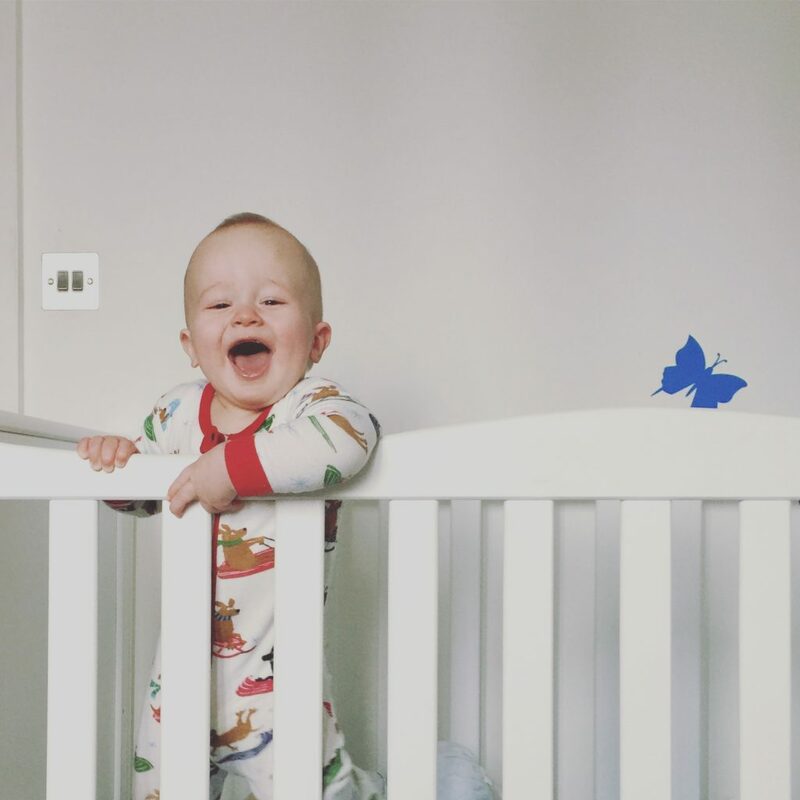 He is getting so tall, I swear it’s not going to be long before he will attempt to climb out of his cot. How is he getting so big? Fab photo of Dex, you really get a feel for his cheeky personality! !